This Sunday will begin Discovery Channel's 25th year for Shark Week, and as it hits the quarter-century mark, it finds a lot riding on its success. While Shark Week has been heralded within the entertainment industry as a major revenue-maker, it has also received considerable criticism over the years for perpetuating shark stereotypes and myths and emphasizing shark attacks over shark conservation. This season's programming should prove to be interesting as there appears to be a few more pro-shark programs scheduled - or at least so it would seem by the advance publicity. Discovery channel has also chosen to push the use of social media by teaming up with Thunderclap in support of three major worldwide shark conservation organizations: the Pew Environment Group, Oceana, and Shark Savers. Through Thunderclap, Twitter and Facebook users can pledge to these organizations and when a certain level is reached, a mass message is sent turning the cause into a trending topic - and giving Shark Week more exposure along the way. Discovery is very clever in promoting Shark Week and they have a lot riding on its success this year. The network recently announced its earnings and while they should respectable growth and profitability, they did come under expectations. Additionally, Discovery is expecting advertising revenue to soften a bit and they have had to juggle some of their other programming due to the competition offered by the Summer Olympics. 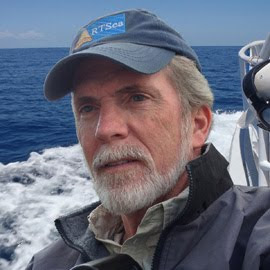 For shark advocates (and Shark Week critics), perhaps they will begin to see more of a change in focus in the type of programs Discovery offers. Shark conservation efforts continue to gain momentum both nationally and internationally and the folks at Discovery are smart businesspeople. I expect they will react to any public trend or attitude that will provide a continuing high level of viewership - and therefore a high level of advertising revenue. One definite downside in recent shark news is the decision of the French government to allow for a number of sharks to be culled around Reunion Island in the Indian Ocean where there has been a rise in shark incidents - 7 attacks and 3 fatalities since 2011. The government will be paying a bounty for bull sharks, suspected of being the primary predator involved in the recent spate of attacks. 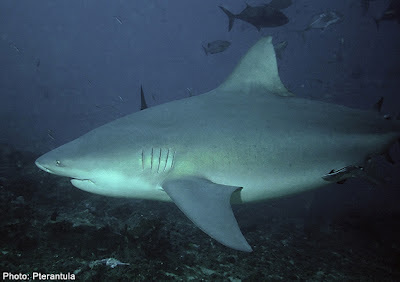 Unfortunately, while bowing to public pressure and feeling the need to take some sort of immediate proactive action, the powers-that-be in Paris are failing to notice, or simply ignoring, the fact that the bull shark is considered a 'near threatened" species by the IUCN and that such culling efforts typically end up not confining themselves to one particular species. 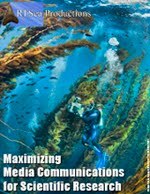 According to reporting in the San Francisco Chronicle, environmental groups are advocating a different approach that centers on measures to limit the disposal of waste along coastal areas, a practice they believe attracts more local fish and, by extension, more sharks who are lured close to shore to feed. Unfortunately, it doesn't sound as dramatically decisive in the island's best interest to curtail throwing garbage in the sea, compared with boldly eradicating the evil predator responsible - the unsuspecting shark who is simply behaving the way nature intended for tens of thousands of years.